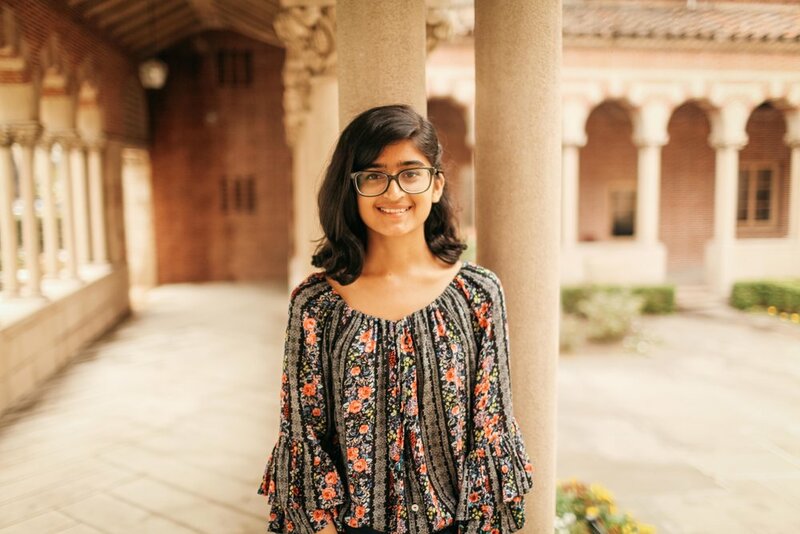 APASA is so excited to introduce our first APA Leader of 2018, Isha Sakhalkar! Isha is the co-president of SCAPE, a CIRCLE TA for APASS, and an intern at the Korea Community and Youth Center. Peers describe her as "someone who strives to lead and make an impact without raising her voice above others or taking up too much space." Learn more about Isha and her passion for the APA community in this interview below! What does being APA mean to you? Explain your involvement in the APA community. During my first semester at USC, I participated in CIRCLE, which introduced me to the APA community here. This was the first time I really had the opportunity to think about my identity and my place in the community, and what I could do to start tackling issues in the community. After CIRCLE, I wanted to stay involved and apply what we had learned, so I joined the Student Coalition for Asian Pacific Empowerment as an intern that spring. This year, I’m one of the co-presidents of SCAPE and also had the incredible opportunity to be a TA for CIRCLE. Being a TA last semester was really amazing as I got to revisit the material in the program and hopefully give the participants as meaningful an experience in CIRCLE as my TAs did for me. But one of the most special things about being a TA was how much I learned from my participants, all of whom are truly wonderful people and great future leaders. Through SCAPE, I have been working to create a space like CIRCLE for APA folks to come out and discuss relevant issues in the community. We have also continued SCAPE’s signature events such as Unite the Mic and InspirASIAN, which are aimed at amplifying APA voices and inspiring and promoting APA artists. Some of my personal goals for SCAPE are to create more collaboration between cultural groups on campus, highlight the issues of less represented APAs such as South and Southeast Asians, and become more involved with outside APA orgs. What advice do you have for aspiring APA leaders? I want to encourage aspiring APA leaders to speak out. I think there’s a lot of fear of being too political in our community, and although many of us see the issues around us, we often shy away from discussing them. If you see that something needs to be changed, it’s your responsibility to take action, both for issues that affect and don’t affect us personally. Our silence only makes things worse. Have the courage to speak out! Share your truths and stand up for what you believe in. What kind of legacy do you want to leave at USC? I would like to leave a legacy of a more engaged and inclusive APA community at USC. I hope to bring out more South Asians to the community as I’ve personally struggled a lot with feeling out of place even in the APA community due to the lack of South Asian visibility. I also want to leave behind a way for APA students here to learn more about their identity and APA issues, so that they can feel inspired to become more involved activists and leaders. My parents, my sister, the smell of rain, Freddie Mercury, the crows in the park behind my house, Lemony Snicket, wearing a fusion of Desi and western clothes, people following their passion, Bad Girls by M.I.A., my EVHS squad, Swet Shop Boys, women of color achieving their dreams, when the sun shines out from behind the clouds Like That, traveling…the list goes on and on! Is there anyone you'd like to thank or give a shoutout to? Shoutout to my family; my lovely SCAPE co-president Natasha Arief, as well as SCAPE’s eboard; my wonderful CIRCLE co-TA Mya Worrell and the rest of the CIRCLE fam; Constance and Andy for all your help with SCAPE; Mary for being an awesome advisor; and Amazing APA Mentors™ Jonathan and Queena. Love you all!